My First Piano Adventure Lesson Book A with CD introduces the keyboard, note values, and pre‐reading. Students listen, sing, tap, and play along at the piano. The orchestrated songs feature the voices of children, delighting young beginners. The audio accompaniments become a ready‐made practice partner that guides the student and parent for all the pieces and activities in the books. 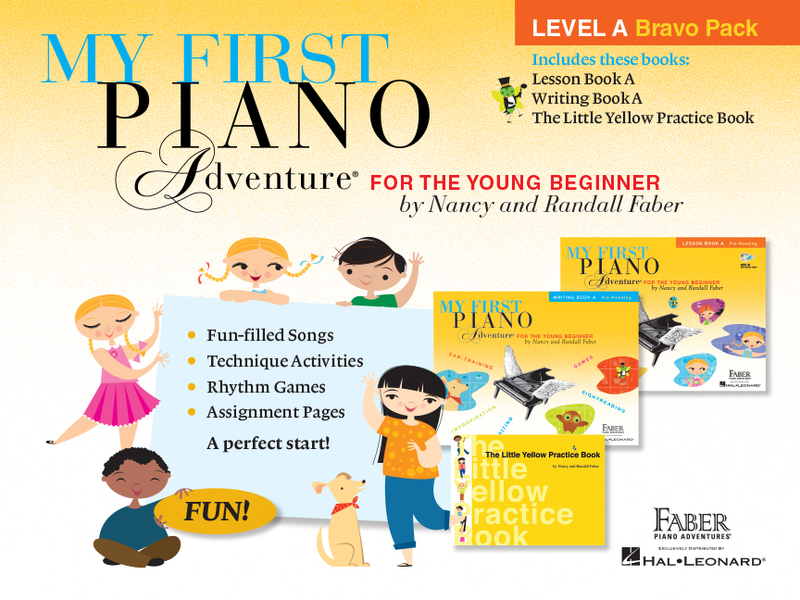 My First Piano Adventure Writing Book A helps develop ear and eye training. Children learn to imitate, match, and create rhythmic and melodic patterns. The multi‐cultural friends present improvisation and simple, guided composition activities. Students learn to recognize patterns of rhythms and notes, and are introduced to sightreading. The Writing Book offers a holistic, musical approach to theory through discovery, creativity, imagination, and fun!